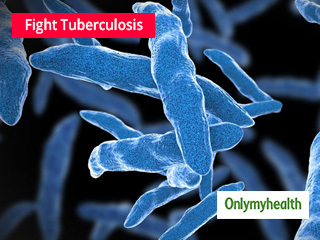 Tuberculosis (TB) is an infectious disease that primarily affects the lungs. Later the disease can affect other parts of the body including the brain and spine. 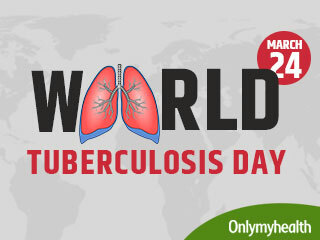 Earlier, tuberculosis was known as “consumption” due to its nature of consuming an infected human body from within. 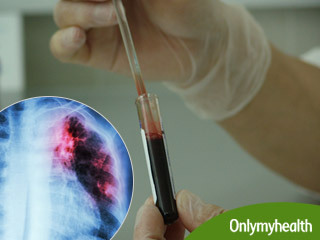 Tuberculosis is contagious but it is not easy to catch, as you are likely to get it from someone. Tuberculosis is caused due to bacteria known as Mycobacterium tuberculosis that spreads from person to person through airborne particles i.e. 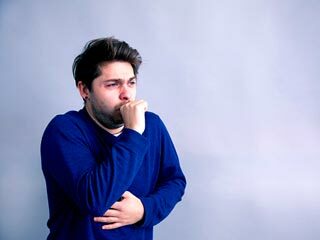 when people infected with the bacilli cough, sneeze, talk or spit, they propel TB germs known as TB bacilli into the air. When the bacilli are inhaled by a healthy person, he or she gets infected. Even a small number of the bacilli can cause the infection. There are some people who do not respond adversely to the infection at all, while in some the tuberculosis bacteria is destroyed very soon after it enters the human body. It depends on the immune system of the person. Weak Immune System: Your immune system can be week due to many reasons like alcohol abuse, drug abuse, unhealthy lifestyle, living close to unsanitary conditions, medications that suppress the immune system or chronic health condition that mars immunity like diabetes or HIV. 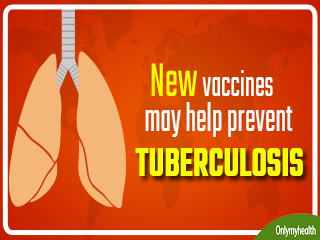 In any such circumstance the chances of being infected with tuberculosis increases. Ageing: Aged people are at an increased risk of tuberculosis as they have a greater probability of having a medical condition which weakens their immune system. Exposure to Infected People: Continuous exposure to a person infected with TB increases the risk of contracting it. It is one of the major risk factors. Nursing homes, immigration centres, hospital or prison have inadequate ventilation or overcrowded environments may increase the exposure to infected people. Poor Healthcare: Individuals with poor access to quality health and medical care are naturally at an increased risk of this disease. This is simply because they cannot bear the expense involved in diagnosis and treatment of the disease. Traveling: The tuberculosis bacteria are present in only 1-3rd of the global population which remains suppressed by a good immune system in most of them. Now, if someone were to travel from one region of the world where the incidence of this bacterium is less to a region where it is prominent, the risk of exposure naturally increases. Some chronic diseases can also increase the risk of developing tuberculosis like diabetes, head or neck cancer, HIV or AIDS and kidney diseases. Tuberculosis can be treated with a combination of medications. The treatment continues for a time period of nine to ten months. Some of the commonly used medications for treatment of TB include Isoniazid, Rifampin, Ethambutol and Pyrazinamide. Unlike most other bacterial infections in which one or two drugs are prescribed for a short duration (5-7 days), treatment of TB needs multiple medicines for months. Multiple medicines are given to prevent the emergence of drug resistance and treatment failure. Most cases of TB are given a combination of 3 or 4 drugs for 2 to 3 months, which is followed by 2 or 3 medications for few more months. Single medicines are never given as the TB bacilli develop resistance to the drug quite rapidly. Duration of treatment: Most people improve after a few weeks upon starting treatment, but the TB bacteria are still active in their bodies. Complete cure of infection needs months of treatment (in most cases 6-9 months). Your doctor will recommend drugs and the length of treatment depending on your age, overall health, possible drug resistance, the form of TB (latent or active) and its location in the body. Taking all the recommended drugs in the recommended dose for the entire duration of treatment is important for cure. The main cause of treatment failure is non-compliance (missing dose, not taking medications for the recommended duration etc) with treatment. Drug-resistant TB: Drug-resistant TB has increased considerably in the past few years. Some factors that contribute to drug resistance include not taking medications as recommended, not completing the treatment and having HIV/AIDS. Drug-resistant TB does not respond to the standard medications, needs more number of medications, is much harder to treat and has a higher risk of death than non-drug-resistant TB. Latent TB: If you have latent TB, the doctor may prescribe just one or two types of TB drugs for a few months. Medication for TB can cause serious complications. Discuss with your doctor the possible side effects of TB drugs and consult your doctor immediately if you experience any of them. If you are pregnant, inform your doctor as some drugs increase the risk of complications in the baby. TB must be treated urgently in pregnancy as the disease may progress rapidly and increase the risk of TB complication for the mother and the baby. World Health Organisation has unveiled a list of essential diagnostic tests which identifies the most important examinations for Type-2 diabetes, HIV and tuberculosis. If tests show you are ill with TB, you must be treated as soon as possible. TB treatment will last at least six months, enough to kill all the TB bacteria. Tuberculosis which was once known as consumption is dangerous and is marked by excessive coughing. Needless to say that it affects the lungs. Tuberculosis alone is an epidemic and life-threatening disease. 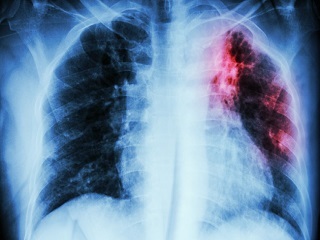 But what could be worse is that tuberculosis can spread beyond the lungs, causing other infections. Read on to know all about the disease. A new study conducted by the American Thoracic Society revealed that a stronger dose of rifampin—it is an antibiotic used to treat bacterial infections such as tuberculosis, which can kill more tuberculosis bacteria in sputum cultures without increasing the adverse effects of the treatment. A new study has discovered that tuberculosis vaccine known as Bacillus Calmette-Guerin (BCG) might reverse Type 1 diabetes to untraceable levels. Results of a new clinical trial showed that the re-vaccination with the Bacille Calmette- Guerin (BCG) vaccine and an experimental vaccine candidate named as H4: IC31, were successful in preventing infections in high-risk youth. TB among the public, particularly among the children. TB figures above the HIV and Malaria in terms of numbers.